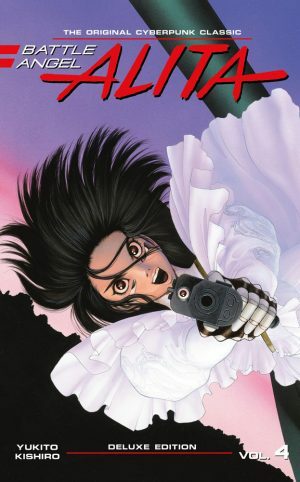 These new Deluxe issues have tinkered with the format of Battle Angel Alita, on the plus side restoring the original visual presentation and presenting the art in a larger format, on the minus saddling the stories with a problematical new translation. Deluxe Edition Five, however, is the first to depart significantly from the original publication. Angel’s Ascension is here in full, the story as originally presented in the English language editions, but it’s accompanied by the very different revised version that replaced it in most Japanese editions from the turn of the century. 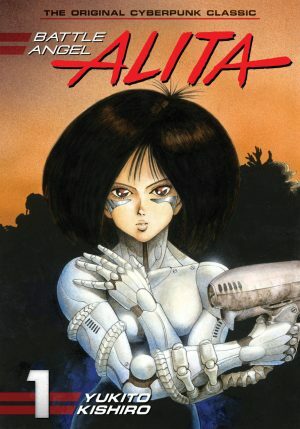 An interview with Yukito Kishiro clarifies that he’d always intended Alita’s story to continue, but that for personal reasons he was unable to commit to the schedule, so ended it in 1995. 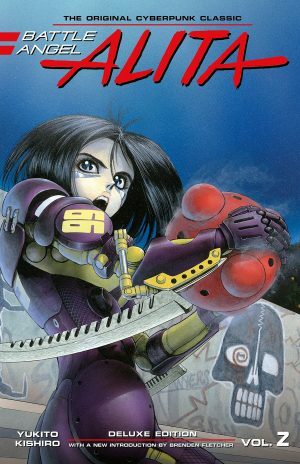 When he picked up again with Battle Angel Alita: Last Order in 2001 his original ending was no longer fit for purpose, so he rewrote from the halfway point. Comparing the two is instructive. The original ending is ambitious and spiritual, if ultimately tragic, while the new ending reconstructs Alita for new purpose, but is nowhere near as compelling. 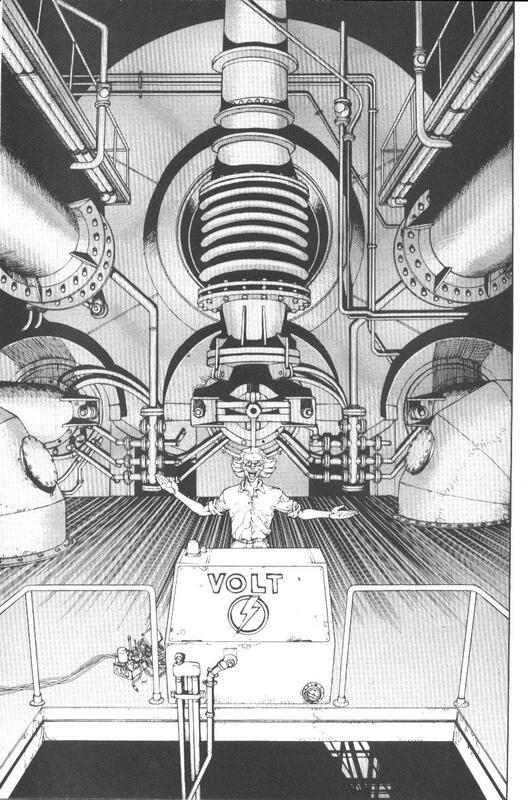 In both Desty Nova, renegade Zalem scientist is important as he’s the point of revelation as to who Alita really is, why she’s been reconstructed, and what she was in the past. Structurally, this is all very neatly achieved, answering almost all questions raised by previous Alita volumes, and leaving the door open for a whole lot more whichever ending you choose to go with. The disclosure as to what the citizens of Zalem have concealed from themselves further feed into Kishiro’s central discussion of what constitutes humanity, what it is to be human, and this is where the original ending is stronger as it provides alternative scenarios for Alita. 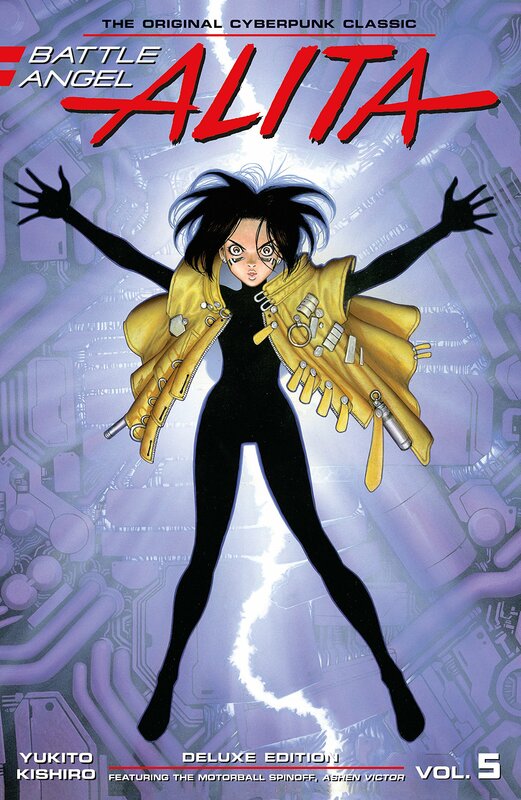 Even with the new ending and interviews this would work out a considerably slimmer collection than the remainder, so it’s padded out with Ashen Victor, an experimental strip connected to Alita’s world. Deluxe Edition 2 detailed Alita’s participation in the future sport of Motorball, and having put so much effort into designing a cohesive game, Kishiro looks back to an era before Alita took part. It’s quite the wistful piece in some respects, with Kishiro commenting via one of the characters how finesse is no longer admirable, and spectator interest is generated by violence. Snev is known as the Crash King, as he’s haunted by an incident that occurred during his first race, and in keeping with Kishiro habitually switching genre, its primarily a character led crime story set in the world of organised sports. Can Snev restore his reputation and discover what’s rotten about Motorball before the vested interests shut him down? As this is an indulgence, Kishiro switches from his usual style of art, and had very obviously been looking at Frank Miller’s Sin City beforehand as he uses very similar stark shading. That’s not the only experimental art, as Kishiro brings in other influences that transform his usual precision into something looser and impressionistic in places. It’s welcome here, deserving more than footnote status. For fans Deluxe Edition 5 will equate to more than the sum of the parts, explaining and elucidating, with the Kishiro interviews the icing on the cake. The original ending of Alita’s story is brave, the revision more in keeping with what followed, and the contextualisation of what’s a landmark series is welcome.